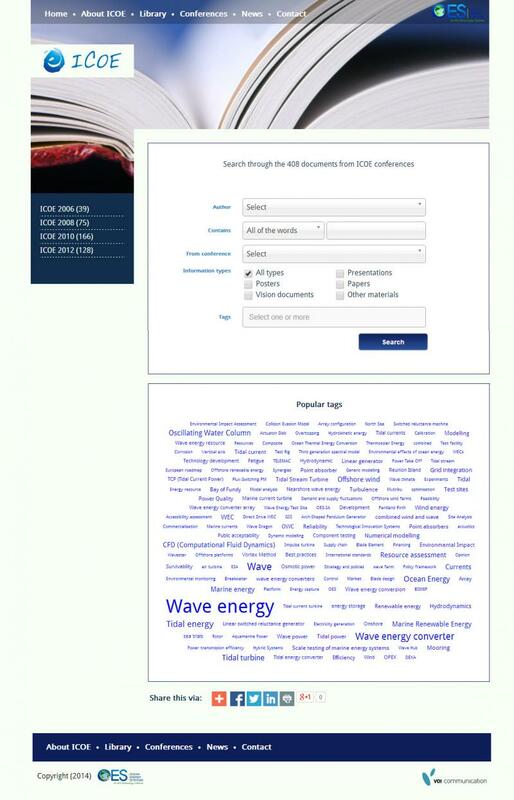 The ICOE Conference is held every two years and attract all major players within Ocean Energy. Each time the conference is held in a new place and with new organisers. 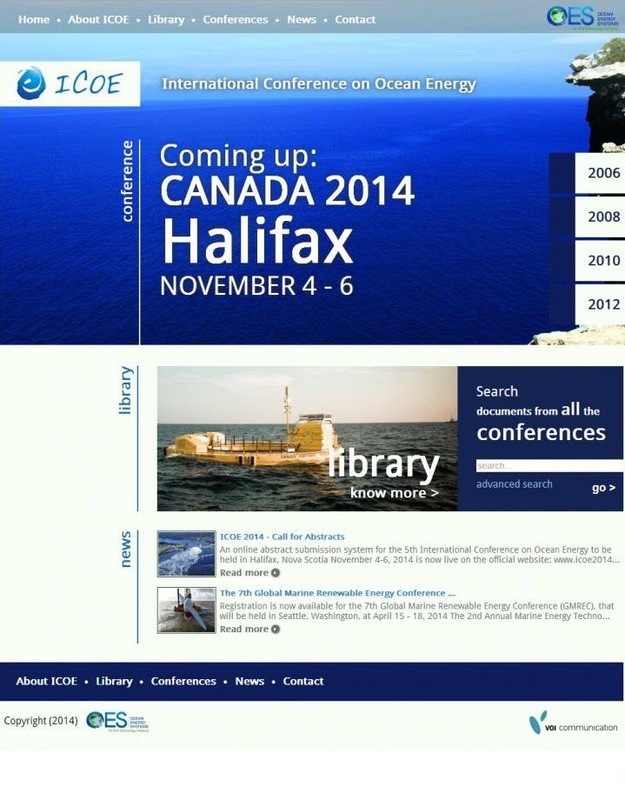 Host the ICOE library, which consists of hundreds of papers created for each conference. The library can be eplored using various search criterias. Facilitate coming conferences by offering to host the websites and domain name, publish news about upcoming and ongoing conferences etc.